The Spring 2012 edition of News and Reviews features five films that were screened as part of AAS Film Expo 2012: Asia In Current Motion presented at the Association for Asian Studies annual conference, on March 15-18, 2012 in Toronto. For the expo, twenty-eight films representing East Asia, South Asia, Central Asia and Southeast Asia were viewed by over 450 conference attendees. (see selected films). 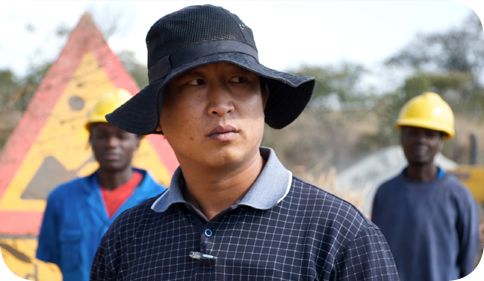 Attending an AEMS film screening, as did Howard Choy (see his review of two films on the China-Africa relationship below), is an excellent route to becoming a reviewer for this publication. We here at AEMS look forward to continuing our role as curators for the 2013 film expo at the AAS annual meeting in San Diego. Additionally, please note that this is my last issue as editor of the AEMS newsletter. It has been two years since AEMS went digital, and it has been a rewarding experience for me personally. Please send future inquiries and suggestions for films to be reviewed to my colleague Jason Finkelman at finkelma@illinois.edu. In the year since the 3.11 Tōhoku earthquake and tsunami, the disaster has elicited an enormous range of human responses: from the worldwide outpouring of sympathy and charitable giving to political protests centered on resistance to nuclear energy, from perseverance in the face of hardship to stubbornness in the face of change, and of course, overwhelming sorrow and mourning. 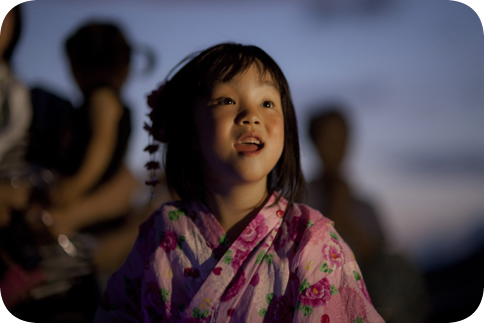 Light Up Nippon, a short documentary film sponsored by the Japan Foundation, tells the story of one of those rare moments of celebration-solemn, yet jubilant-to take place in the months following the catastrophe. "Light Up Nippon" refers to a fireworks display that lit up the sky along 300 kilometers of the Tōhoku coastline on the evening of August 11, 2011, the five month anniversary of the disaster. The film traces the project from its inception just days after the tsunami to its completion several months later, in parallel with the Tōhoku region's progress from utter devastation to the beginnings of rebuilding and a return to some semblance of stability. Directed by Marc and Nick Francis. 2010. 75 minutes & 60 minutes (for classrooms). Directed by Ella Raidel. 2011. In English, Portuguese and Chinese, with English subtitles. Reviewed by Howard Y. F. Choy. When Hillary Clinton criticized China for its "new colonialism in Africa" last summer, was she indicating the U.S. government's hitherto ignorance of China's "foreign assistance" that exported rice and railways, along with communism, to "liberate" the continent early in Mao's era (1949-1976)? Or was she simply expressing her frustration over the failings of the African Growth and Opportunity Act in trading American goods for Africa oil? 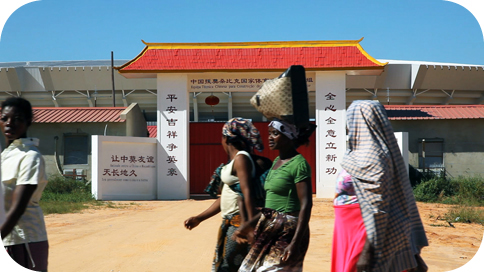 Competing with American post-Cold War hegemony, China's expanding footprint in Africa is both a twenty-first century continuation of the European-model of colonialism as well as a modern revival of the imperial Chinese tributary system-be it the Han, Tang or Qing empire-as exemplified in its present-day international hunt for energy and natural resources. The U.S. Secretary of State's castigation of China was made during a pan-African television interview in Zambia, a landlocked republic in southern Africa and the story setting of When China Met Africa. The strength of each film is how it serves as a window onto the lives of ordinary Afghan men and women in their pursuit to improve the country and their own livelihoods. The very mention of Beijing conjures images of its imperial past - landmarks like the Forbidden City and the Ming tombs. Soon that may change. 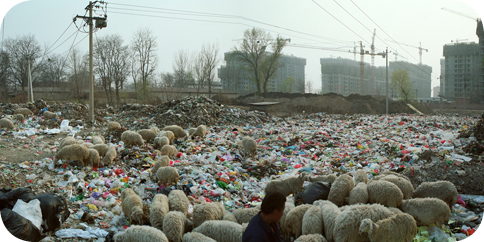 Film director Wang Jiuliang's cinematic reportage draws our attention to the fact that Beijing's landfills now far outnumber its landmarks. From 2008-10, Wang counted close to 500 dumps and landfills surrounding Beijing, almost like a moat, and piled high like a tumulus. Some of them are only 10 miles from the Forbidden City, Bejing's heart and center. Using a combination of Google Earth, photography, video, and thought-provoking commentary, Wang Jiuliang juxtaposes Beijing's rapid urbanization, often touted as an economic miracle, with the negative environmental and social consequences of the city's expansion. He begins with footage of newlyweds taking photos by a creek and cuddling sheep, an idyllic scene if it were not for the toxic water in the creek and the fact that the sheep are feeding on nearby garbage instead of grazing in the mountains. Clearly, the couple has no idea how their own lifestyle is contributing to what can only be considered a looming environmental disaster.